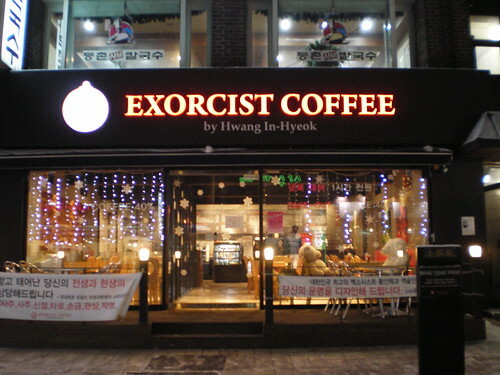 Strolling round the back streets near Ewha Women's University last night, I spied this oddly monikered cafe. 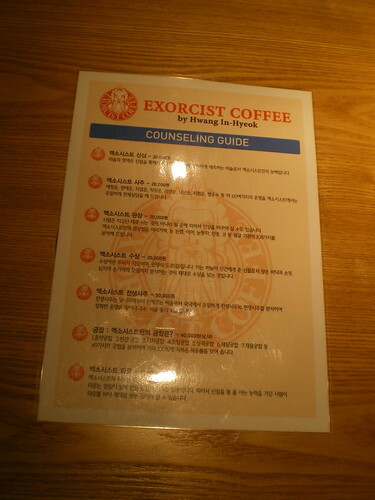 It turns out Exorcist Coffee is a fortune telling cafe where you can hire out the services of wonderfully talented people who tell you what your future holds (that tall dark stranger, the lucky numbers for next week's lottery or the prospect of you being run over by a quick service motorcycle). and if the coffee and fortune-telling isn't enough, you should see how the owner/proprietor goes down the stairs! oh that's fun. Did you try? I actually got to see Mike Oldfield live for my 19th birthday. 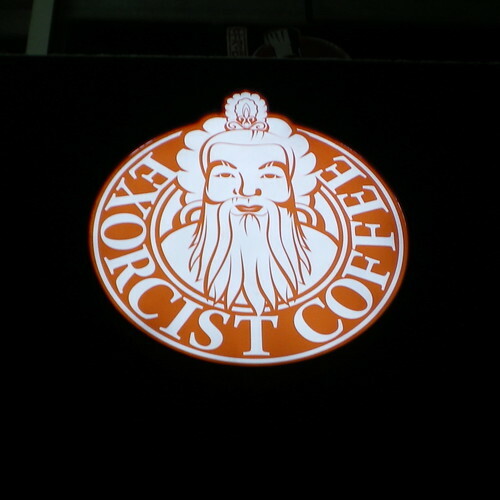 You were fated to find that coffee shop sooner or later . . .